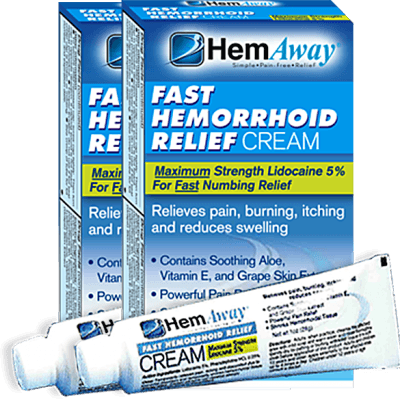 1 Box of HemAway Lidocaine 5% Fast Pain Relief Cream contains one 1-oz. tube. 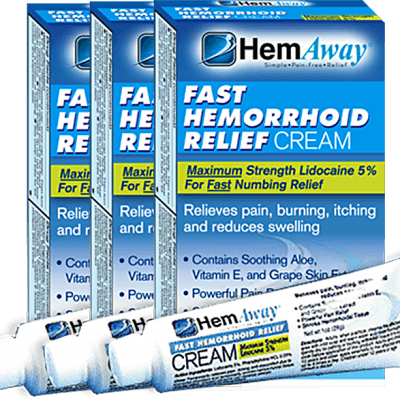 1 Box of HemAway Lidocaine 5% Fast Pain Relief Cream contains one 1-oz. tube. Sealed with a child-resistant cap due to formula strength. 90-Day 100% Money-Back Guarantee. All orders are 1-time purchases only – this is NOT a ‘continuity’ or ‘auto-ship’ program, and your credit card will NOT be re-billed unless you specifically order again. *These statements have not been evaluated by the Food & Drug Administration. This product is not intended to diagnose, treat, cure or prevent any disease. Always seek professional medical attention for any rashes, blisters or outbreaks you may be experiencing. The information on this website is not intended as medical advice or to replace the advice of a qualified medical professional. Welcome to The HemAway Blog!